The following article is the English translation of a report that appeared on the French website LaDepeche.fr, stating that investigators who have been examining the flaperon of a plane found on Reunion have been unable to find any evidence linking it to MH370. Experts from the Directorate General of Armaments have finished surveying the flaperon found on Reunion Island. Nothing certifies that it belongs to MH370! In Balma, near Toulouse, technical analysis of the wing flaperon that is believed to belong to the Malaysia Airlines Boeing has ended. Engineers from Toulouse have brought forth their conclusions to the Paris Prosecutor’s Office, in charge of the judicial inquiry. At the moment, none of their observations have been linked. “The team, tasked by French officials with examining the flaperon, concluded the first phase of its inspection work”, announced the Australian Transport Safety Bureau (ATSB) located in Sydney. “French authorities, in consultation with Malaysia, will give updates on progress when the time is right”, added the ATSB. The judicial authorities are in fact remaining silent and refusing to comment on anything. According to our sources, the experts found no irrefutable technical elements that would allow to us to certify 100% that this piece belongs to flight MH370. “The experts’ conclusions are the only technical part of the criminal investigation, which is still going on”, says an insider of the investigation. As of now, the only certitude is that the flaperon that was tranfered from the Reunion Island to Toulouse on August 5 corresponds to a moving part of the wing of a Boeing 777. If the deputy prosecutor of the Republic of Paris has stated that there was a “very strong supposition” that the piece belonged to the plane of flight MH370, which disappeared 18 months ago, that statement is based on circumstantial evidence. First, the piece belongs to the aircraft model corresponding to that of Malaysia Airlines, a Boeing 777. 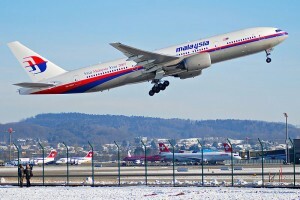 In addition, no other aircraft of this type except that of the Malaysian company were reported missing. Also, the trajectory of the wing piece that ran aground on a beach in Reunion matches the sea currents that link the search area of the wreckage of the plane to the French overseas department. Finally, the shells found attached to the flaperon belong to a species endemic to the southern Indian Ocean where the unit is believed to have disappeared. According to a Toulouse aeronautics expert who requested anonymity, the element of the wing would not have floated for several months at the water’s surface but would have drifted underwater a few meters deep. According to Jean-Paul Troadec, former chairman of the Bureau of Investigation and Analysis (BEA), the state of flaperon, even if it is not intact, indicates that there was no violent impact with the ocean surface. “If this had been the case with the MH370, one would expect much smaller debris than a flaperon,” said the expert.